Rowland’s face on the cover is obscured slightly by a greyscale filter, her lips darkened by the shade of her perfectly-sculpted nose, her eyes enshrouded by their own shadows. On asking her why she chose this particular photograph, she tells us, “Well, she’s incredibly expressive, especially in those Cassavetes films.” The soul of Rowland’s expression, the pupils of her eyes, are hidden with a gloom where the light doesn't hit, yet it seems we know exactly what she is feeling. “She has the ability to express these incredible emotions that we all go through at some point in our lives, the ones that are hard to put into words, but she just does it with her face”. So, what is she feeling? We're not able to say. Staring into the covered eyes on Infinite Avenue, you feel you're in on a secret, Rowlands looking back at you with assurance. You cannot deplete the feeling with language. "This album is very personal to me and the photograph is just perfect." Nothing is explained, as Villain only addresses our relationship with what is already there. "I have no idea what the song is going to sound like before I begin", she tells us. Having made her own studio and learning everything from scratch, the process is entirely her own. "The music sounds closer to my sound, or what I think of as my sound at a certain time, it's always developing. When I can afford to, I go out and get a new instrument, so I spend a lot of time with those things, and every new instrument that I get inspires a whole new process. It's all just patchwork and building". Telling her that the isolation on the album sounds palpable, she simply replies in a voice that is soft and kind: "It's just – I have a room somewhere and it has my stuff in it and it's really nice." 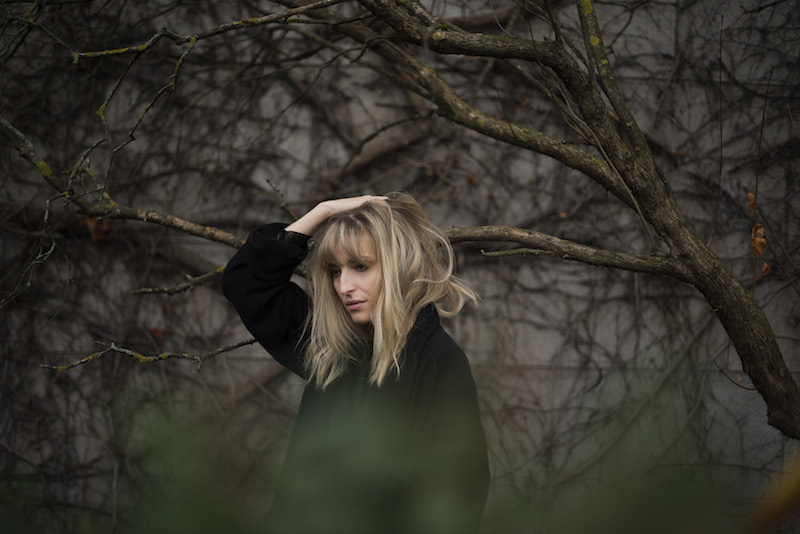 The album's not quite an exercise in meditative loneliness, as it features a contribution from fellow Norwegian, Jenny Hval. "I've known Jenny for three years. I run this tiny record label in Norway, and she was looking to release something here, so we met up and talked about it. We released another two records, in Norway only. So yeah, that’s how I ended up getting to know her, she’s amazing." They recently performed together at Villain's album release party, which included a live rendition of 'Borders'. "I had this track but it was all instrumental" Villain says of its early stages, "so I sent it to her and she would just add stuff. Her melodies are just amazing, I wouldn’t have come up with them, cos she has a very different way of writing to me." Villain's music is richly universal in scope, vast in reach and resistant of specifics. "I think of it as more comfortable than beautiful, but maybe I do have a taste for beauty", but her lyrics plod below the somnolent melodies, like dirt. "The lyrics aren't cheery, no" she concedes. "A lot of that comes from trying to fit into all of these different expectations that you put on yourself, or what society puts on you. Y’know, I’m obviously not very content with the way society is now, and how the world is. But I don’t want to be politically critical in my music, it’s more about how I feel or observing how other’s feel, and it’s more an immediate reaction to that. And as a society, it’s about how lonely and insular it feels." On 'Infinite Avenue', Villain longs to plumb desire from a stasis. On the title track she sings: "Blue oceans roll away for miles / Oh, for a while / Desire, will you bring me back" over a euphony that drags you out into a gentle sea, before you realise you can no longer see the shore. "We're always longing for something", she says. "And I can't really explain why my music becomes the way it does, it's just about feeling right and full and clean somehow. I think there's something between things that you can't really hear, but you already know it. Gena Rowlands is saying that with her face." The photograph of Gena Rowlands replicates the experience of Infinite Avenue. "My music comes from a feeling or sensation, and then you can just add to it what you want", Villain concludes. What was once fluid turns into an object when it's held in our hands. We can try to talk about how Gena Rowland's face makes us feel; how Carmen Villain's sounds make us react – but it is as ineffable and impossible as an image.